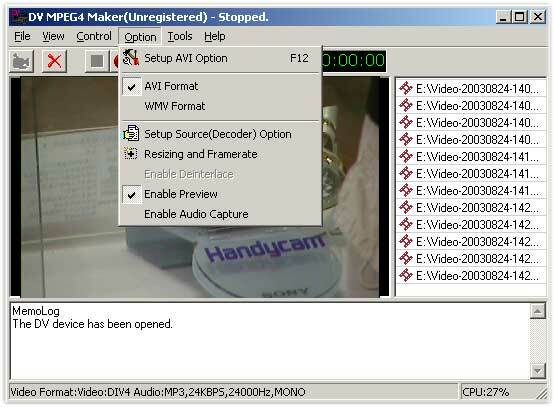 Capture from your digital camcorder(1394 interface) in realtime. Automatically generate the destination file name according to your system time. It's so small (2.7M) that it only takes you 3 minutes to download with a 56K modem. Buy now and have fun today!